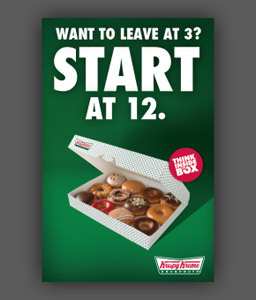 I love these adverts from Krispy Kreme, I read about them on The Drum before actually seeing them in rea life. I was a little awed when I saw them because I thought they were only down in London or something. The colours in the ad are really nice and the large bold type of the headline really stand out. Can’t beat well set type really. 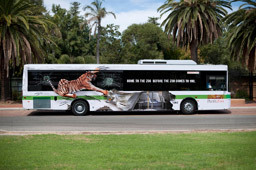 I’ve seen this ad quite a few times and initially I couldn’t find any videos of it or information online, maybe because it was too new but now there is! I love it, the stop motion feel of it and the lovely illustrations. The soundtrack does wonders to it too! If you like this too then you have to watch the making of video too!